Halloween is fast approaching! Join us in collaboration with our partners The Haven and Headliners for a scary movie double feature, food, friends, and frights. Horror at The Haven will kick off on Thursday, October 25th at 7:00p at The Haven (206 G.E. Patterson, Memphis, TN 38103). 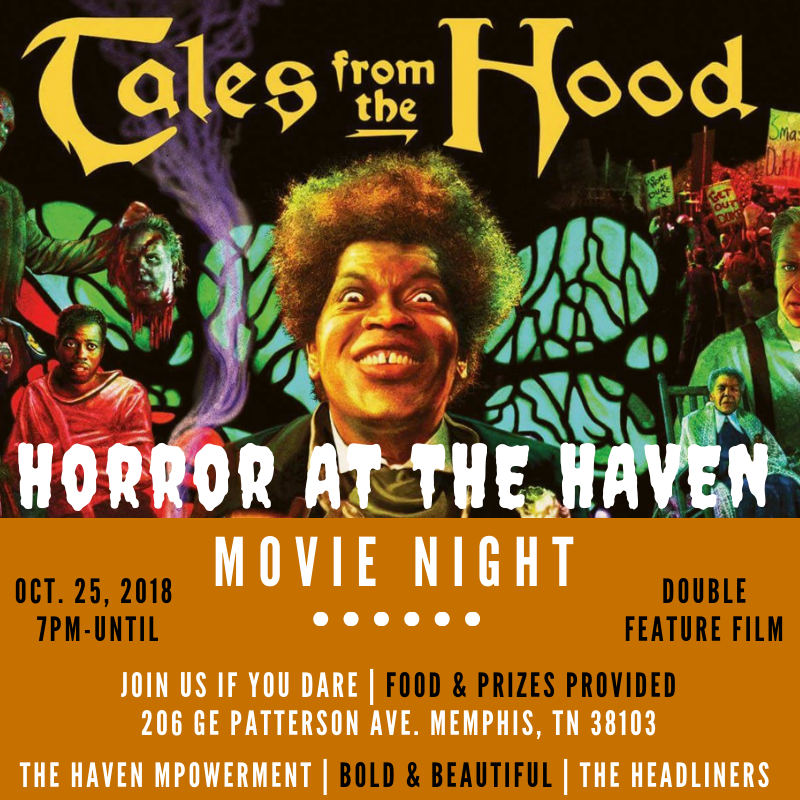 Bold and Beautiful will be taking its meeting on the road for this night of scary fun, so if you were going to join the ladies at OUTMemphis, make sure to drop by The Haven in time to get your seat and some popcorn. If you’ve liked other events put on by the Headliners, you’ll love this one too! For more information, email Kayla Gore, Transgender Services Specialist at OUTMemphis.